Our 7.5' long surface mount aluminum player bench is constructed of 2'' square galvanized steel legs for a strong, stable base and anodized aluminum seat planks. 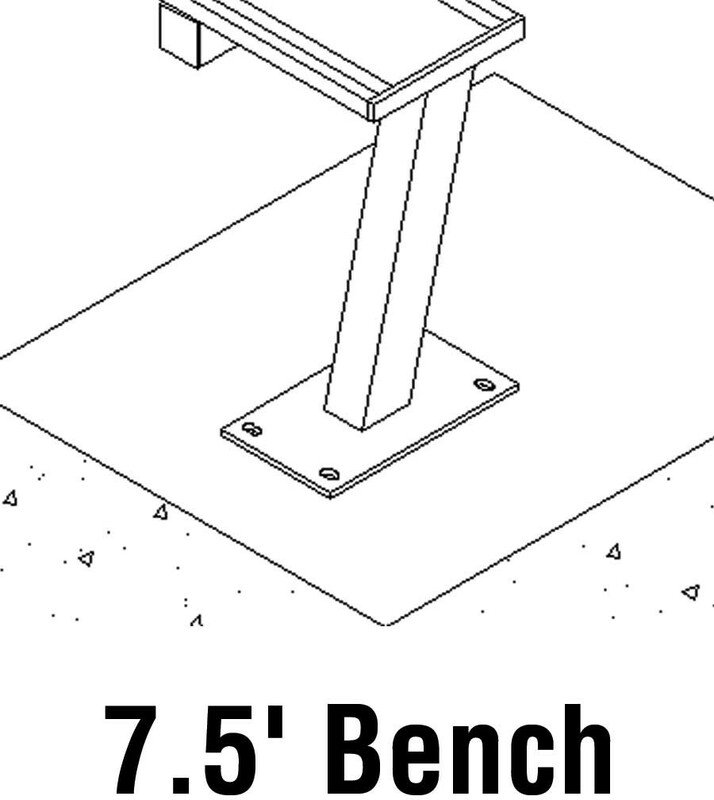 Bench can be mounted to an existing concrete surface. 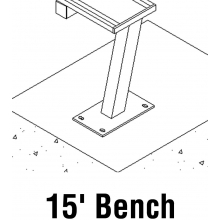 Institutional quality, heavy-duty construction provides years of use for your team or league. All hardware is included and basic assembly is required. Perfect for school fields, parks and sports complexes.